ELIZABETH CITY, N.C. –– The 2016 Wrangler is a practical SUV with style and incredible craftsmanship you’ll want to know. Three trim levels, stunning aesthetics, versatility, and ingenious interior packaging make the 2016 Wrangler an SUV that will continue to impress down each road you travel. To see all the details on this impressive SUV check out the downloadable 2016 Jeep Wrangler brochure. The 2016 Jeep Wrangler comes available in the Sport, Sahara, and Rubicon trim levels. MP3 capability, traction control, stability control, and 4x4 all allow the 2016 Jeep Wrangler to stand out as an SUV perfect for cruising in or hitting the toughest trails with. 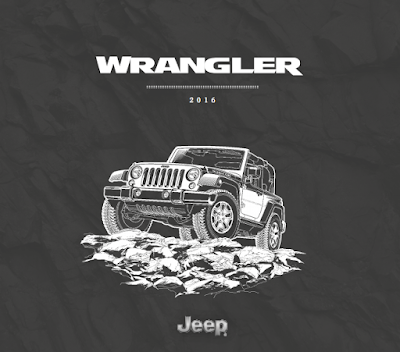 You can see all the available features the 2016 Jeep Wrangler provides in the downloadable 2016 Jeep Wrangler brochure and decide what you’ll be bragging about to your neighbors.